Howard Levy concentrates his practice on patent prosecution, appeals, and patent strategy counseling for clients in all mechanical, electrical, and computer science fields. He is experienced in both domestic and foreign prosecution of patent applications relating to power generation technologies, materials science, controls, automotive and aerodynamic fields, rotary electric machines, electro-mechanical devices and circuits, micro-electrical mechanical systems (MEMS), packaging technologies, signal generation, transmission, reception and processing, semi-conductor manufacturing, computer storage and handling systems, e-commerce and business methods, error correction coding, cryptology, digital media, missile and weapons systems, radomes, spacecraft design, mining technologies, fasteners, and apparel. He has drafted and prosecuted hundreds of patents. IP Law360 published Partner Howard Levy's article, "Reconsidering Accelerated Examination — While It's Still Here" in its Expert Analysis section on February 12, 2018. Cantor Colburn is pleased to announce the election of four new partners, the promotion of five associates to counsel and of one paralegal to associate. The new partners are Victor Kernus, Jaehoon Kim, Howard Levy, and Jeffrey Waters. The new counsel are Eric Baron, Michelle Ciotola, Krista Kostiew, Karen LeCuyer, and Jamie Platkin. 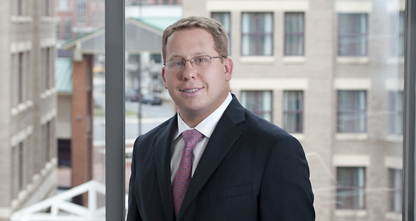 Chris Whalley was promoted from Intellectual Property Paralegal to Associate. The promotions are effective January 1, 2015.